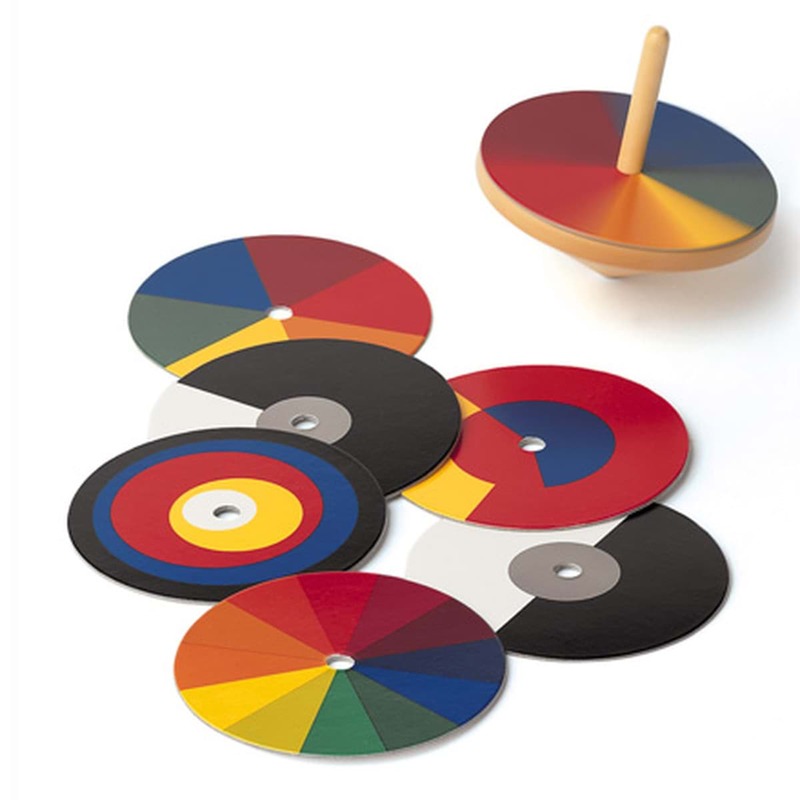 The optical mixer of colors shows how an optical color mixture is produced when rotating the spinning top. 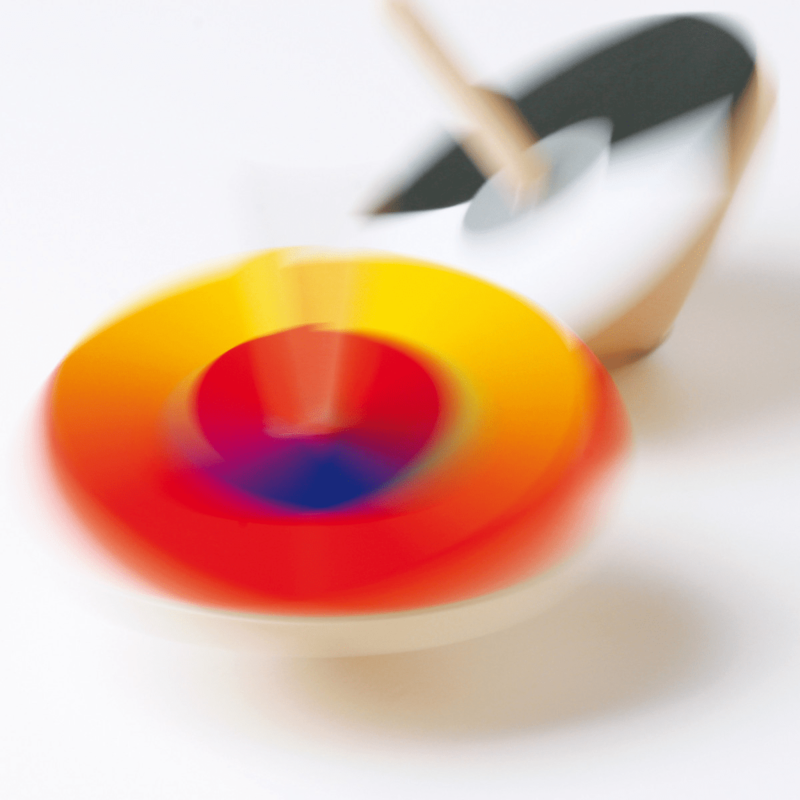 Fascination of colour - The optical mixer of colours shows how an optical colour mixture is produced when rotating the spinning top. 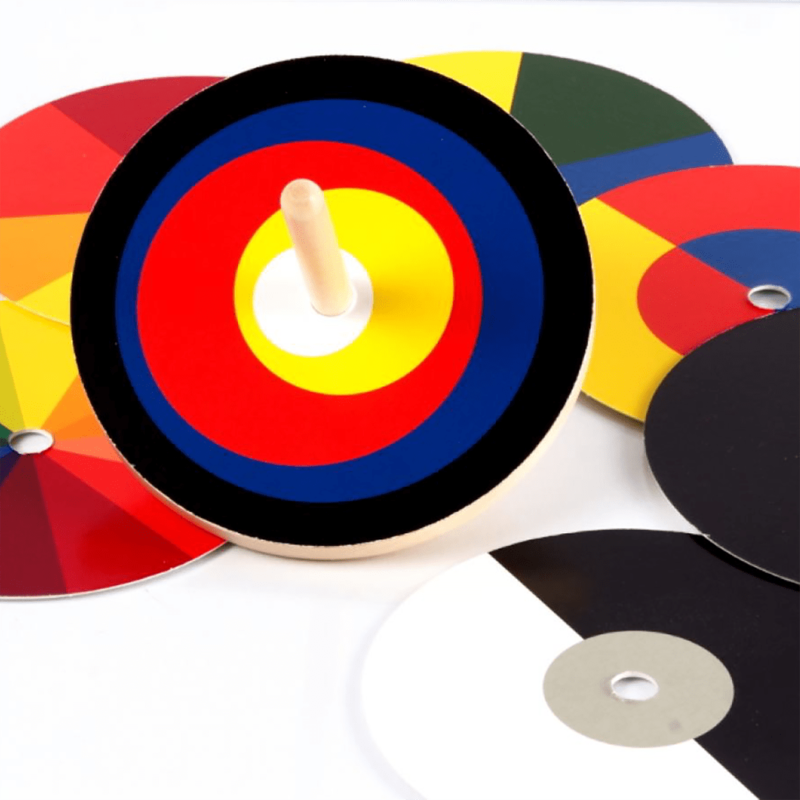 Aspects of colour theory can be experienced with the interchangeable seven cardboard discs. The colour circles according to Goethe, Schopenhauer and Hölzel can be rotated and then compared with each other. Information describing the phenomenon can be found on the back of the discs. The interplay of light and shadow 100 years of Bauhaus - an excellent reason for a new edition. Josef Hartwig's chess pieces from 1923 are characterized by clearly reduced forms. Geometry and colour This collector‘s item is a replica of the historic cradle designed by Peter Keler in 1922 during his apprenticeship at the Bauhaus.